A former Essex county cricketer has been jailed for four months after admitting a corruption charge relating to a 40-over game against Durham. 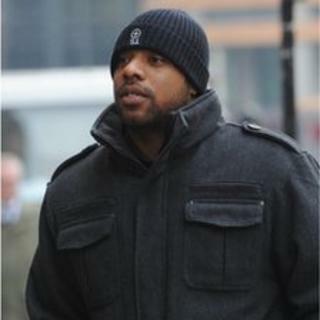 Mervyn Westfield, 23, pleaded guilty to accepting or obtaining a corrupt payment to aid spot betting on a match, on 5 September 2009. The Old Bailey heard he agreed to bowl an over to let Durham score a set number of runs for a £6,000 payment. He is the first cricketer in England to be prosecuted for spot-fixing. Westfield will serve half the term in prison and a confiscation order was made for £6,000. He has received an interim suspension order from the England and Wales Cricket Board. Passing sentence, Judge Anthony Morris told Westfield he was satisfied he would have known it was a corrupt payment and that he could and should have refused it. He added: "You had an opportunity to mention them to the team captain or management, or if you were nervous of doing so, at least to your friends within the team. You chose not to do so. This is more than just a morality tale about one man's decision to accept a corrupt payment. It raises questions about the temptations open to a player on the fringes, earning around £20,000 a year, when £6,000 is offered for bowling badly. If Westfield hadn't boasted about it to a teammate, how would it have been detected? How far is the England and Wales Cricket Board (ECB) risking the health of the game by accepting millions of pounds to televise county games, which are then broadcast into the Indian subcontinent with its unregulated betting market? And how embarrassing is this for Essex - that, back in 2009, senior players and the coach had heard rumours that their Pakistan international player was talking to players about spot-fixing - but they thought this was just banter, that - in the words of the defence - they'd turned a "blind eye"? Has that culture gone for good? "If, because of corrupt payments, it cannot be guaranteed that every player will play to the best of his ability, the reality is that the enjoyment of many millions of people around the world who watch cricket, whether on television or at cricket grounds, will be destroyed." Essex County Cricket Club said in a statement that it was a "very sad day" and it would "take a while to fully digest the comments of the judge". Earlier, the Old Bailey heard team-mate and former Pakistan player Danish Kaneria told Westfield that a friend would pay him to concede a certain number of runs off his bowling. Prosecutor Nigel Peters QC told the court the deal emerged when another Essex player, Tony Palladino, went back to Westfield's Chelmsford flat in September 2009, where the bowler showed him "the most money he had ever seen". Kaneria was arrested in connection with the case but later released without charge. Mark Milliken-Smith QC, for Westfield, told the court Kaneria and his associates targeted Westfield, who was "more susceptible" because he was on the verge of the squad and that he "felt pressured". The match was one of the first televised games for Westfield, described as "an Essex cricketer through and through". "He bitterly regrets what he has done, he is utterly ashamed," said Mr Milliken-Smith. "He is a life-long and passionate cricket fan and player. In fact, he knows no other love." Essex Police said there were no plans to interview Kaneria again although the investigation would remain under review. Det Sgt Paul Lopez said it was now a matter for the cricketing authorities to deal with.